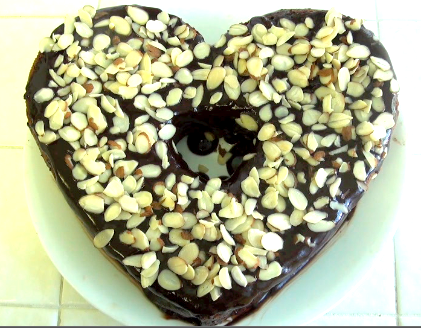 Passover Chocolate Torte…For Valentine’s Day! Valentine’s Day is important and meaningful to me and to our family for one reason alone. Alex, our daughter, and first of five children, was born on that day! I had been due to give birth on February 5, 1980. But Alex was in no hurry. It was now nearly midnight on February 12, 1980, and I would be in labor for the next 25 hours. Alex, my beautiful daughter was born at 12:52 a.m. February 14, 1980, fulfilling all of my dreams to be a mommy. They brought my little girl to me in a bassinet filled with hearts, and my heart melted as I held my daughter for the first time. What does all of this have to do with Chocolate Torte you might be wondering. Well, In 1987, the PTA of Sinai Akiba Academy, the Jewish Day School Alex attended, published a Passover cookbook called Pesach Potpourri which was filled with Passover recipes. In the cookbook there was a recipe for a Chocolate Torte by Linda G. Mayman, that became Alex’s favorite cake. When Alex was about ten she started requesting the Torte for her birthday cake. So every year my Valentine’s girl gets a Passover Chocolate Torte in the shape of a heart. Over the years I’ve tweaked the recipe here and there, and that is the version I give you here. Grease a heart-shaped or round 9 inch cake pan and line the bottom and sides with a piece of parchment paper. Set aside. In a food processor grind the nuts together with the sugar until fine. Add the potato starch to the food processor and pulse a bit to mix it in with the nut mixture. Remove to a bowl. In a small saucepan over very low heat, slowly melt the chocolate, coffee granules, brandy and water, stirring until smooth. Separate the 4 eggs while keeping an eye on the chocolate mixture. Remove saucepan from heat and stir in the egg yolks. Return the pan to low heat and stir in the margarine, a few pieces at a time. Stir until melted, then add the nut mixture and stir until it is melted in. Beat egg whites with dash of salt until soft peaks form. Slowly beat in 1/4 cup sugar, and continue to beat until stiff. Stir a dollop of egg whites into the chocolate mixture, then fold in the rest. Pour into the cake pan and bake at 375 degrees for 20 minutes. Remove cake from oven and allow it to cool. Stir the chocolate and the coffee in a small saucepan over low heat and add the margarine. 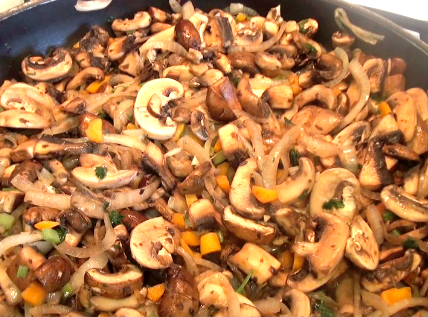 Once all of the ingredients are mixed and melted remove from heat. Allow the mixture to sit for a few minutes and then you may glaze the Torte provided that the Torte has cooled down to room temperature.